Red and white dress with gold/silver floral embroidery. It was bought in 2003 for $1000. 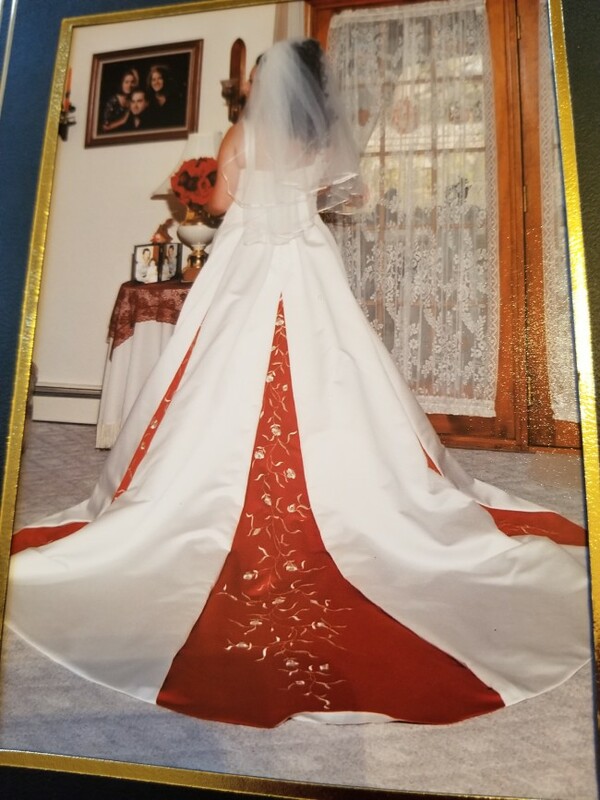 Dress and veil (included) were professionally dry cleaned and preserved (still in box). I believe the size ordered was a size 22 or 26 (I don't quite remember), but I was a (street) size 12 at when I wore it (approximately 185 lbs, 5'5" with 2" heels). Dress was taken in and hemmed for my size.